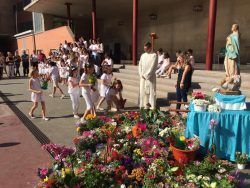 In the International DiocesanCollege Virgen de Gracia weunderstandeducation as an act of love. Although it is in the family where we can most work the Catholic development of our children, our school is committed to a comprehensive education and we carry out a large number of activities, both inside and outside our center, in which we promote the evangelization of our students in an attractive and, above all, real way. We believe that achieving excellence as a person requires individualized and group support to help our students find Jesus. Through experiences, we educate our students in the values and attitudes that our religion promotes. In each of our activities we seek the development of a communication that fosters the development of the capacity to face the dialogue between faith and culture, between faith and life. Through our evangelization activities, we unite the daily life of our environment with a positive sowing of the Gospel in order to help our students to form their own model of life based on faith and Christian religion. A humanizing practice that allows each of the people involved in them to discover their own Christian reality. 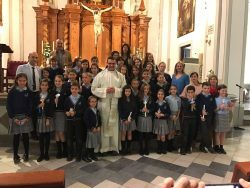 Our students can enjoy one of the most important stages in the development of their faith in the center.In this great first stage of preparation we help the children to deepen the knowledge of Jesus Christ and to recognize God in the sacraments. These are weekly sessions of vital importance for the personal and spiritual growth of our young people, since for 2 years, teachers and parents of this school introduce our students in the four dimensions of the faith: to know, to celebrate, to live and to pray. Once this process of the way is finished, the children of catechesis can take the official step of making the first communion in our school. To extend the word of God, in the International DiocesanCollege Virgen de Gracia wedevelopedcoexistencewith different schools brothers from other cities. In this type of activity our students come together to live a unique experience outside their school hours, continuing their journey based on the ethical and religious values promoted by the Gospel. A key experience in their development where they will learn, pray and strengthen skills such as coexistence, sociability and respect for others. Camps are a fun way to continue learning God’s teaching. 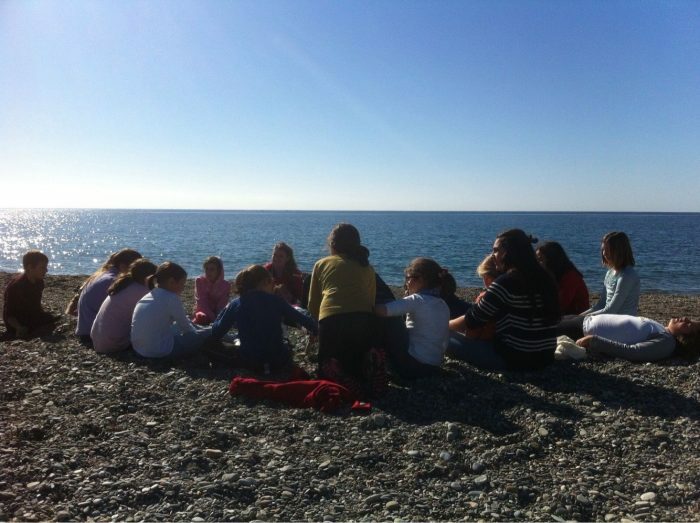 We carry out camps oriented to different ages and with contents adapted to all of them. Under the foundations of faith, students learn respect for their environment, both natural and personal. 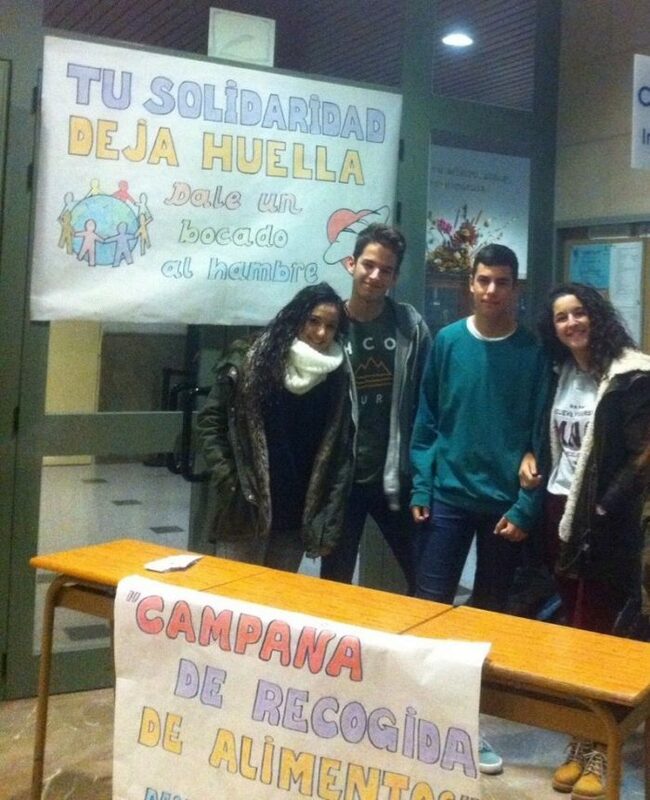 Experiences full of ethical and social values ​​that will complement children to make them better people. The word of God guides us to solidarity with the most needy. That is why, in the school we elaborate different days of support where volunteers (students, parents, teachers and mothers) start their great generosity and that of God. With these days, we turn our backs on selfishness and create personal values of generosity, respect and vision in the neighbor bases of our faith. We act in different areas such as the delivery of food and accompaniment to the most needy. Every Friday, from 4:00 p.m. to 5:00 p.m., we hold groups of friendships where children can grow personally and spiritually in a unique way. In this way we promote first-hand experiences that project in a real way the dimensions of faith in the members of the different groups.